Nowadays, android smartphones are the fastest growing inventions by giant and even local mobile makers. In every smartphones they developed, they installed different versions of operating system. This names of OS is based on popular sweet foods including Android Gingerbread, Honeycomb, Ice Cream Sndwich(ICS), Jelly Bean, and Kitkat. Aside from smartphones, manufacturer also installed this operating system in tablets and smartwatches. 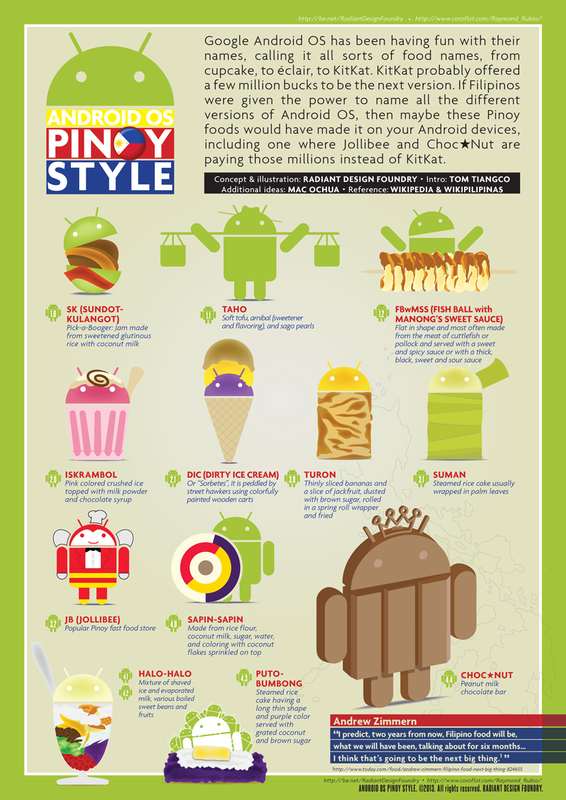 But what if Filipino has the powere to named this said OS based on Filipino foods or delicacies?